A reduction in the number of cruise ships entering Dublin Port will cause considerable damage to the tourism sector on the island of Ireland, the leader of the DUP has warned. 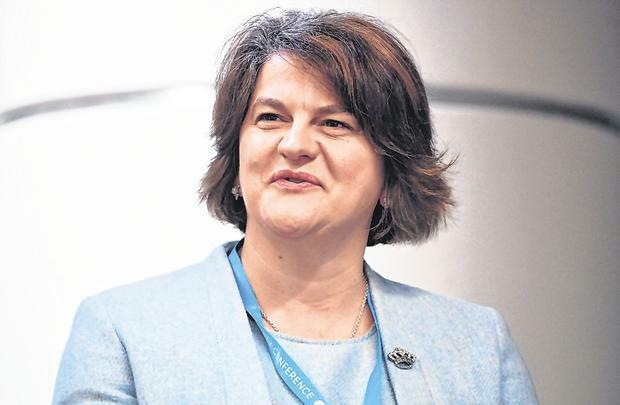 It is understood that Arlene Foster has been in contact with transport minister Shane Ross to outline the impact that reduced cruises will have on both sides of the border. Foster fears that companies may now go elsewhere. It follows news that the Dublin Port Company was considering curtailing its cruise business in order to make way for more freight after Brexit. Business groups have heavily lobbied against the port’s decision insisting it could heavily damage businesses in the city. Almost 300,000 cruise passengers docked in the city in 2018, up 32pc. In an interview with the Sunday Independent in February, port boss Eamonn O’Reilly said that the cruise ship business would “peak during 2019 and from 2021 we will be taking significantly fewer bookings for cruises”. O’Reilly said that of the 8,000 ships that used the port last year, just 150 were cruise ships. He described it as a “small part” of the business.